But, IRS officials have noised sometimes that whatever benefit practitioners may have thought were available for quiet disclosures historically are not available in the offshore account arena. Still, I wonder whether, in the offshore account arena, a good, squeaky clean quiet disclosure and full cooperation in an ensuing audit (if it occurs) would be prosecuted. For many of those taxpayers, the alternative may be not to clean up the past and perhaps stay under the radar screen in the future. So even a quiet disclosure with future compliance is still a win for the IRS even without criminally prosecuting the quiet disclosure taxpayer. Does the IRS really want to discourage even this process of amending the past and complying in the future by prosecution good quiet disclosures? Keep in mind, the IRS can assert significant civil penalty costs. I do note Mr. Russell's comments above that suggest that, in terms of civil penalty costs, the quiet disclosure taxpayers may be treated less favorably than those joining the program and opting out. He has his finger to the pulse on this one, but I wonder why the IRS does not formally adopt better treatment for those who are audited by opt out rather than after quiet disclosures or go-forwards. This should encourage taxpayers to join the program. I have a question on this. In the past, I got frustrated trying to e-file and gave up at times, since my effort got rejected due things like local address, no tax due, living abroad forms or no income (after deductions). Last year, the IRS kindly requested that I file for two past years, so I did that. does such also fall under "quiet disclosure"? That is not quiet disclosure in the traditional sense. But, it does achieve the equivalent potential benefit of a quiet disclosure -- i.e., elimination or mitigation of the criminal prosecution risk. The traditional thinking is that, when returns are solicited by the IRS and the taxpayer responds by filing good returns, the IRS will not refer and, if it did refer, DOJ Tax would not prosecute for failure to file. So, the thing to do is to do what the IRS asks. You did that. You are good to go. Keep in mind that the IRS can take what you submitted and use it as a fulcrum for civil penalties. But the primo risk has been avoided -- or at least mitigated. Good luck! And I should also offer congratulations since you did what you needed to to by filing for the period requested. Ok, thanks. I wasn't sure where I fit into the big picture and now I have a better idea. I'm intrigued and troubled by your use of the phrase "end run the initiatives." The OVDI/OVDP are offers by the IRS. There is no obligation to accept them, and one does nothing wrong by declining. Indeed, there is not even an obligation to file an amended return. The IRS may view any non-program disclosure as improper, but sensible people ought not. But since we know that the IRS motivation is not compliance rather to maximize revenue - Jack, the question is will they still continue to audit quiet disclosures in 8 or 9 months, when they’ll start receiving the first batch of FATCA data from the countries that already signed? At some point, they’ll have to prioritize with the very limited man power they have at their disposal. I am not sure if you are pro or con QD if it is " a good, squeaky clean quiet disclosure and full cooperation in an ensuing audit (if it occurs) " ? Since we have seen that tax loss to the government becomes less and less of an issue and I am sure that most QDs have de minimis tax issues over the 3 or 6 year period they back filed which means the civil penalties you were talking about are of little monetary consequence , so if one would perform an exposure analysis you would conclude to have a possible 75% civil fraud and the max. 47.5% of failure to file and failure to pay penalty = 122.5% p.a . Imo. it is still an uphill battle for the IRS to prove (within the 6y SOL) by clear and convincing evidence that the taxpayer intended to evade taxes by conduct intended to conceal,mislead, or otherwise prevent tax collection and I am sure the taxpayer was advised to look at the badges of fraud that tax court case law has developed that may give rise to a finding of clear and convincing evidence. Doing QD with reference to current audit statistics has still a clear positive skew/probability for the filer. Doing the long standing VD or entering OVDI/P and opt-out etc. has a nearly 100% guarantee that after 1,2 or 3 years that your returns will be audited with min. 47.5% p.a tax penalties and either NW or W - FBAR penalties and a small chance of an 3800 FBAR warning letter. I assume since QD filers have obviously not submitted a RC letter ,that for FBAR purposes they will be looking by default at willful penalties $100K or 50% of max balance or the mitigation guidelines ? Forget compliance this is about calculating your odds and developing penalty scenarios and based on the monetary consequences make your decision. This whole thing reminds me more and more about a turkish bazar. I think the IRS is particularly concerned about QDs because, in most cases, QDs are done by taxpayers who prefer not to have their matters examined and are unwilling to do so, but won't some relief not available to them in the program specifically designed to deal with their situations. I think that describes a belief that they are end-running the system. I too think that is what is happening. That does not mean that QDs are not an option and a legitimate option until it is foreclosed. It is simply to say that they are end-running the clear path to transparency. Jack, sorry but I think you will not find many followers of your opinion anymore - even practitioners that love the OVDP annuity - begin to realize that it is not just about compliance and collecting taxes anymore. Sure you can sell it anyway you want but the ``insider`` sees through this smoke screen about enforcing the ``law`` and the US will pay the price down the road with FATCA as well - Asia and Europe are looking upon this with a smile. I think ``JUSTME`` had mentioned a summary of the arguments in Forbes a couple of weeks ago. Maybe the readers can send Jack the link. Another thing is very interesting here and I have noticed this now many times. Many US based tax lawyers - and Jack you are one of them - only seem to know or mention in their responses OVDI/P as one of the options. I say this again for > 70% of taxpayers that followed this advice wasted >$10K in useless legal costs guiding them into an opt-out with a civil audit in the end, this was the wrong thing to do. The moment you have some RC and arguments to support some NW behaviour and the vast majority has no criminal facts , the right thing would have been to make a submission under the longstanding normal VD program with either 3 or 6 years of tax and FBARs with a civil audit to follow. The taxpayer would have had the same result but not wasted a lot of money and loss of LCUs on legal representation. Jack, I realy have to tell you since you mention the ``criminal prosecution`` risk so many times in your responses that this is not the reality - the vast majority does not possess any or enough criminal facts besides Schedule B III 7a) to justify advising them to enter OVDI/P ! I think that to reach the conclusion that a non-program disclosure (or compliance going forward) is an "end run" of the system, you have to start with the premise that all taxpayers with foreign accounts "should" join OVDP. Personally, I see no basis for this premise. Michael, I appreciate your perspective. I do not start with the premise that everyone should join the program. 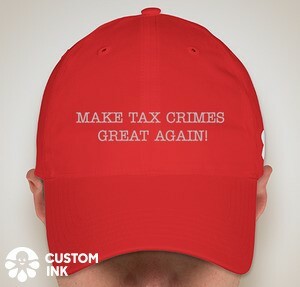 Those without material criminal prosecution risk should not join the program and probably should just go forward, taking their risks as to the potential criminal audit. I think the QD is appropriate only for those taxpayers who do have potential criminal risk (which means they also have potential civil penalty risk as well) and are willing to roll the dice on the QD to avoid going into the program and opting out (which they probably should not do). In this sense, then the QD for a person of that profile is an end-run which the IRS should identify (if it can) and consider the significant civil penalties (just as they would if the person joined the program and opted out against, I am sure, the advice of his counsel). So, in that sense it is an end-run. But, most of the persons with the offshore bank problem probably do not have material criminal risk and therefore not joining the program is not an end-run of the program. It is a choice the taxpayer can make. And for most of those, a straight go-forward is probably the way to go. 1. ". . . it has recently become clear that the IRS has figured out a way to detect these so-called non-program disclosures." I hadn't ever thought that the IRS wouldn't be able to detect a quiet disclosure. It is, and has been, as simple as programing the system to compare any amended return to the original return and note any newly reported foreign income and/or Schedule B line 7 checked where it hadn't been checked earlier, as well as comparing any newly filed FBARs to original submitted returns. Rather simple criteria that would make a QD laid bare. 2. "Also, IRS agents have much less discretion in terms of penalties than if the taxpayer had come through the voluntary disclosure program. . . ."
This is very curious. FAQ 50 specifically states that within the OVDP, "Offshore voluntary disclosure examiners do not have discretion to settle cases for amounts less than what is properly due and owing." In fact, many revenue agents have told me that my clients' facts are very sympathetic and the agents wish they could offer lower penalties, but their hands are tied to the rigid penalty structure within the VD program (which then might bring up the opt-out option). I understand the author's point - - that if a Quiet Disclosure is uncovered, the full weight of penalties may apply - - but the suggestion that there is more discretion, or any discretion, within the OVDP, is curious. 3. Jack, I believe that U.S. v. Schiavo stemmed from a Quiet Disclosure, but perhaps not a "good quiet disclosure". I agree that the lack of guidance on what happens on opt outs is a problem. The IRS says that it does provide guidance in the IRM about mitigating the nonwillful penalties on audits (whether pursuant to opt outs or otherwise). I don't think the IRS is saying everyone who does a QD is a crook. The IRS obviously prefers them to join the program and if they are not really bad guys obtain relief by opting out. In discouraging QDs, I think that is all they are saying -- you are likely to end up in the same place as opting out if we identify you. Just as opting out is not for everyone (particularly the bad guys), so filing QD and then drawing an audit is not for everyone (particularly the bad guys).